One of the best reason Lake Como is visited all year is the variety of hiking trails it has. Many times visitors, and even residents are not aware of the jewel that is Lake Como until they wake up here. Slow Lake Como decided to celebrate the importance of our mountains offering hiking tours starting in Como town and giving families the opportunity to discover the deep connection between our land and history. or for info and bookingsCONTACT us! 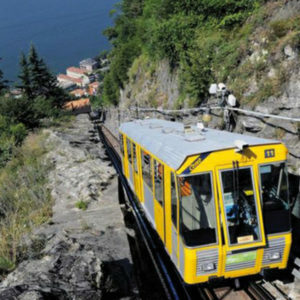 Two of the most loved Slow Lake Como’s itineraries are Brunate Como Torno, Breathtaking Scenery and Rebellious Lake Como. On the Footsteps of the Smugglers. Brunate, Como, Torno is an hike loved by locals of all ages, an itinerary that allows you to discover breathtaking landscapes, mysterious boulders and pendulous stones and a village with an ancient heart, walking and experiencing also a funicular and a boat. Rebellious Lake Como, on the Footsteps of the Smugglers itinerary allows you to discover the adventurous side of Lake Como. In this frontier land the mountains were crossed from one side of the Italian – Swiss border to the other by men with huge shoulder bags, often fleeing from the guards of both countries. For info and bookings contact us!